With local industries and citizens at large aligned, this no-cost solution to aid in the recovery of plastics is projected to be a hit in our community. In July, James City County, Va., and three other Virginia municipalities will join the ranks of progressive counties by offering residents the opportunity to recycle rigid plastics at the curbside. Among other plastic containers, items added to curbside pickup will include plastics like yogurt cups and grocery store clam shells. As an officer of SPI and chairman of the affiliated Rigid Plastics Packaging Group (RPPG), my team and I helped support a study on rigid plastic recovery within the county that led to this decision. I live and work in James City County. The Virginia Public Service Authority (VPPSA), which manages curbside collection for the four municipalities, led the initiative with support from Printpack and RPPG. The study showed that when households were asked to recycle all rigid plastics, the entire quantity of recyclables went up by 20 percent with polypropylene and non-bottle PET making up the majority of the increase. PET bottles, which are already included in the program, also saw a substantial bump. Both polypropylene and PET are highly recyclable and valuable to the industry. In addition, there was no significant increase in non-recyclable materials. National recycling statistics show a trend in improvements in the recovery stream for rigid plastics. Non-bottle rigid plastic recovery increased threefold from 325,440,000 pounds collected in 2007 to 933,927,245 pounds in 2011. Also, the ratio of materials staying in Canada and the U.S. as opposed to being shipped to other countries, increased from 37 to 61 percent, which is higher than aluminum and paper. VPPSA officials were initially reluctant to collect all rigid plastics because they were concerned that the market for mixed plastics seemed to be centered overseas, and they wanted to be certain that if rigids were collected, they would actually be recycled. Traditionally, the only plastic materials they accepted were PET bottles and HDPE jugs with necks. When VPPSA put out their curbside collection contract for bid, they did not include all rigid plastics in the RFQ because of the perceived lack of economic incentive and the fear that there would be cost increases associated with collecting all rigids. With the support of SPI and the American Chemistry Council, I assured them that the domestic market was developing to handle this type of recovery. The expanded recycling won’t cost the localities more, nor will it require a change in the regional contract. 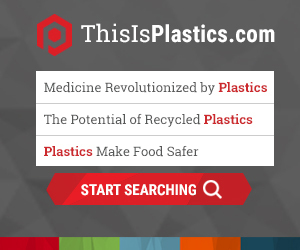 There is a market for the materials, and contractors seem to be looking for more mixed plastic. I also pointed out that the level of polypropylene consumed in China is three to four times that in the U.S., thus we should not be surprised that Asia has high demand and this is a good thing. A meeting held in January 2014 to discuss expanding the region’s recycling program included Printpack executives and representatives from the SPI, the Southeast Recycling Development Council, County Waste (the MRF that won the bid substantially reducing VPPSA’s cost) and James City County’s Economic Development and General Services Departments. County Waste officials said they were collecting rigid plastics elsewhere and were ready to collect them in our region. County Waste made the difference here —they clearly understood that maximizing collection and recycling of all rigid plastics was profitable. The James City County Economic Development Group was instrumentalin aligning the parties and moving this initiative forward. There is good reason that Forbes Magazine ranked Virginia the best state for business in 2013. The grassroots efforts of Printpack associates helped generate attention to the issue. Our associates, who live in James City and the other municipalities involved, reached out to their respective local officials and let them know this was an important issue. This resulted in several meetings and plant tours with elected officials. The Virginia Gazette helped to promote our effort. Environmental reporter Cortney Langley was intrigued by the story as it was a case where industry leaders were actually pushing for “the right thing to do.” She published two stories about the initiative. With local industries and citizens at large aligned, this no-cost solution to aid in the recovery of plastics is projected to be a hit in our community. Citizens of these communities can simply separate their plastics in a separate bin to be picked up with regular waste disposal. If there’s a lesson for our industry—it’s that we can make a difference. We have 900,000 people employed in our industry. We need to engage them all and make them ambassadors to communicate our message across the nation.